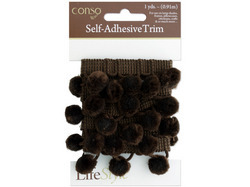 shop Brown Self Adhesive Decorative Trim Case 48 | bargainbrute. Brown Self Adhesive Decorative Trim. 1 yard.